Our training & procedures give you confidence when managing employee issues. Gillian (Donohoe) Knight is the founder and Managing Director of the company. She began working in HR 19 years ago as a Recruitment Consultant. She has extensive experience within the field of HR compliance, strategy, policies and procedures, recruitment and selection, redundancy and grievance and disciplinary to name but a few. She has also up-skilled clients through training seminars and lectures MBA and undergraduates students in HRM for Dundalk IT and Grafton College Dublin. She has worked with clients such as the Glanbia, Eircom, Saon Group, Irish Jobs, JP Morgan, Meath County Council, Capital HR Recruitment, the HR Department Limited and ITC Limited. Gillian also works for the Licensed Vintners Association as the HR Advisor for Dublin Publicans. Gillian holds a Master in Strategic Management and Planning from the UCD Smurfit Business School and is a Chartered Fellow of the Chartered Institute of Personnel and Development. She holds a Master of Business Administration (MBA) from the University of Wales. She holds an honours degree in Human Resource Management and Industrial Relations from the National College of Ireland and a postgraduate Diploma in Employment Law from the Law Society of Ireland. 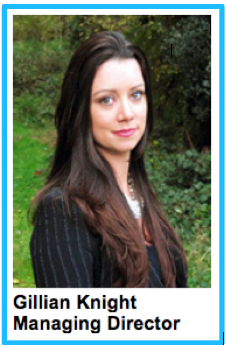 She is a Qualified Coach with a Diploma in Personal and Business Coaching from the Irish Life coach Institute. 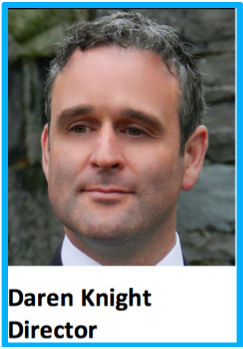 Daren Knight is a Director of the company. He holds a wealth of experience in operational and strategic low-and-high-profile risk mitigation and security solutions. Daren manages all security related consultancy for the company. Daren has previously conducted taskings for international government-owned companies, blue-chip multi-national companies, financial services, private high net-worth individuals, a Middle East Head of State, and a member of a Middle East Ruling Family. Daren is a regular speaker/contributor to international news media and current affairs broadcasts regarding security issues. He also runs an International Security Consultancy company called Knight Associates Limited who specialise in risk mitigation and protection services Internationally. 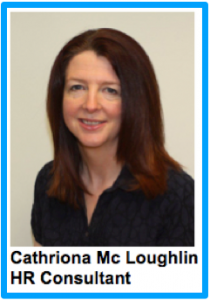 Cathriona Mc Loughlin has over 15 years experience in HRM and Training in the I.T, Manufacturing and Hotel & Catering industries. She has worked as a Recruitment Consultant and as a Trainer for C.E.R.T delivering the Train the Trainer programme. Cathriona started her career in Hotel Management completing a Higher Nat. Diploma in Business Studies at GMIT. She worked in the Hotel Industry for a number of years in France, US and England before returning to Ireland and pursuing a career in HR. She holds an Honours Degree in Industrial Relations and Personnel Management from the National College of Ireland. Catriona Coffey is an experienced Human Resources and Operations Manager with extensive knowledge in the areas of Operations Management, Recruitment and Selection, Employee Relations, Performance Management, Talent Management, and Compensation & Benefits. Catriona has worked extensively in the ICT and Educational industries. Catriona is highly proficient in formulating and implementing innovative recruitment and retention strategies, developing employee policies and procedures, managing employee relations, developing competency frameworks, formulating and implementing performance systems and designing compensation and benefit systems. She has extensive experience of working with large-scale public and private sector bodies from a Human Resources and Operations perspective. Catriona has completed a Masters in Strategic Management and Planning from the UCD Michael Smurfit Graduate Business School. Catriona holds an Honours Degree in Business Management from the Institute of Technology, Tallaght. She has also completed a Diploma in Employment Law from Dublin Business School and a Certificate in Business Analysis and Consultancy from the National College of Ireland and the Business Analysts Association of Ireland. She is currently completing a Masters in Human Resource Management through the National College of Ireland. Catriona is a member of the Chartered Institute of Personal and Development (CIPD) and the Mediators Institute of Ireland (MII). Kala Management Solutions Management team is supported by a team of HR Consultants, Administrators and Strategic Partners.